1897: Did an airship crash in Aurora, Texas? 2008: Did fighter jets chase Texas UFOs? 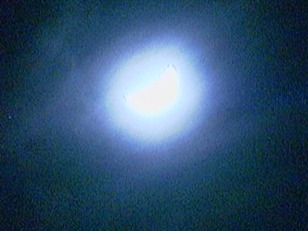 Take, for example, the blazing pinwheel that appeared in Norwegian skies in December 2009, shown here. The sight sparked speculation that aliens were sending earthlings a signal. Other researchers speculated — and the Russian military later confirmed — that a missile failed. NBC space analyst James Oberg says the incident fits into a long tradition of UFO sightings over Russia that are caused by secret military and space activities. Even when there's a prosaic explanation for the sightings, they can provide useful information about covert activities. Click onward to learn about seven more UFO cases through time that generated buzz. In the 1800s, sightings of UFOs, called airships, streamed in from across the United States, according to Mark Easter, a field researcher and international director of public relations for the Mutual UFO Network, or MUFON. Many of these sightings were explained as hot-air balloons, which were becoming a fad then. A reported UFO crash in Aurora, Texas, however, remains inadequately explained, according to a report by the group. 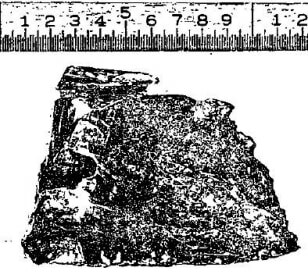 Among the evidence recovered during MUFON's investigation is an unusual piece of metal with properties consistent with a crash landing, shown here in a black-and-white view from the report. What's more, remains of the alien pilot are said to be interred at the local cemetery. Requests to excavate the grave, however, have been denied. Why? A local historian concluded that the sighting was a hoax meant to drum up interest in the town at a time it was being bypassed by the railroad. Excavating the grave might expose the hoax. Oberg, however, says that cases such as the Aurora crash are immune to disproof — too much time has passed to rely on stories that could would have mutated and been embellished over the years, and there's no remaining physical evidence to study. On June 24, 1947, former World War II pilot Kenneth Arnold was flying near Mount Rainier in Washington state when he spotted a chain of nine crescent-shaped objects that he said skipped across the air like saucers. Newspaper reporters, erroneously, called them "flying saucers." "The phrase 'flying saucers,' which are assumed to be round like a saucer, spread so quickly that people began seeing not what he saw but what the reporters had misdescribed," Oberg said. The technical description of whatever Arnold saw has rarely been reported again, the space analyst added. Other researchers, according to MUFON's Easter, put the sighting in the historical context of the post-World War II atomic weapons program. This activity, he notes, could in theory attract extraterrestrial attention. 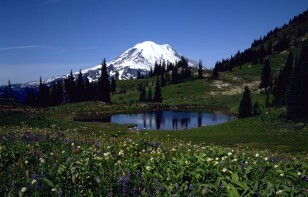 Plutonium for the bombs was processed at the Hanford Nuclear Reservation east of Mount Rainier. "If there's some surveillance going on, these things, whatever they were, it just makes sense they would be hugging the east side of that mountain when Arnold saw them," Easter said. Doing so, he noted, would have helped shield them from detection by radar. Did UFOs crash-land in the desert outside of Roswell, New Mexico, in July 1947? According to the official line from the U.S. military, the answer is no. At the time, fragments of strange debris collected by a local rancher were explained away as an experimental weather balloon gone awry. In 1994, the military changed its story, saying that the balloon was actually part of Project Mogul, a covert operation to monitor Soviet nuclear blasts. Oberg is satisfied with that explanation, but some members of the UFO community view the military's explanation as a cover-up of another kind. 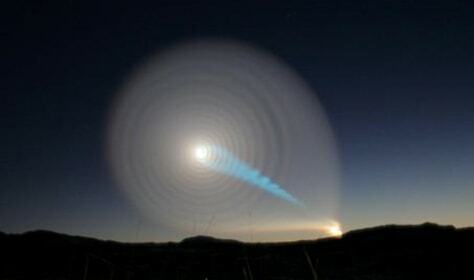 MUFON's Easter, for example, lends credence to a theory that the military shot down two spaceships that were checking out nuclear weapons being developed and tested in New Mexico. One crash site was cleaned up before it leaked to the press; the other became known as the Roswell Incident. 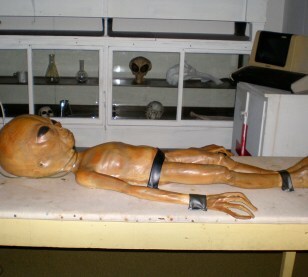 Amid the buzz, one thing is certain: The mystery has generated income for merchants in Roswell who play up the incident, including this unquestionably fake alien on display at a local museum. By 1952, according to MUFON's Easter, UFO fever was at such a high pitch that sighting reports started to clog telephone networks. The buzz hit a crescendo during two consecutive July weekends with a series of visual and radar sightings over Washington, D.C. The military explained the wave of sightings on a temperature inversion, which can cause interference with light and radar. Skeptical members of the UFO community, however, see the time frame as the beginnings of a government-orchestrated mission to squelch the UFO phenomenon by making fun of the people who reported the sightings. Oberg says the government was concerned about the flood of calls - it was interfering with communications. Security experts reasoned that enemies could purposely spread UFO panic to tie up lines of communication as they dropped bombs on U.S. cities. Instead of debunking the UFOs - which was an option studied - the military shored up its communications systems. Some UFO researchers say an inadequately explained sighting at a nuclear missile launch site near Malstrom Air Force Base, shown here, in March 1967 bolsters the case for a connection between nuclear weapons development and UFOs. According to a MUFON investigation into the matter, retired Air Force Capt. 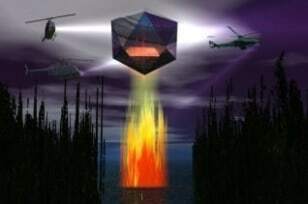 Robert Salas, who was stationed at the site, said sightings of UFOs with pulsating red lights were followed by a rapid shutdown of the missiles' targeting system. 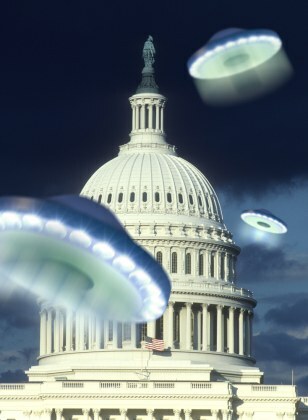 The military admits the shutdown occurred, but its own investigation concluded that the UFO sighting was a rumor. Oberg says he'd like to know more about the events surrounding this incident. He notes that the tale sounds similar to a case in Russia in which officials used UFOs as an excuse to explain why nuclear equipment was faulty. In December 1980, Betty Cash, Vickie Landrum and Vickie's grandson Colby were looking for a bingo game in Texas when a diamond-shaped UFO appeared in the sky. Moments later, the UFO seemed to be escorted away by a fleet of helicopters - some similar to a type used by the U.S. military, according to various accounts of the UFO incident known as the Cash-Landrum Case. After the incident, Cash and the Landrums reported symptoms such as nausea and burns that some experts believe to be radiation poisoning. Cash spent more than two weeks in the hospital. The trio sued the U.S. government for compensation, but the case was dismissed because a government connection to the incident could not be shown and the medical condition of the alleged victims prior to the incident remained sealed under privacy protection laws. "That was an interesting case in the sense that it was one of these outliers that have a bright light being carried away by helicopters low across the skies," Oberg says. "That's really bizarre and as far as we know, that, if accurately reported, was the only case where that ever really happened." Dozens of people in rural Texas near Stephenville reported seeing a large object with bright lights flying low and fast in the skies on Jan. 8, 2008, apparently chased by F-16 fighter jets. At first, the Air Force denied they had jets in the area at the time. 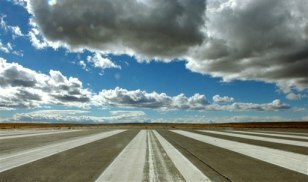 Two weeks later, the military admitted that there were indeed jets in the area, and suggested that the residents might have seen one of the jets as a UFO. The admission satisfies some people as a reasonable explanation. Many such sightings turn out to be military operations. Others, however, remain unconvinced that the larger object has been adequately explained. Oberg says even he has been fooled by jet overflights. When the line of jets passes overhead, the lights of the leading jet can be seen long before any sound arrives from it. By the time the second and third jets fly over, the roar is evident and it looks as if the jets are chasing the "silent" light out front. "I was shocked by just how gripping, how persuasive, the illusion was that the roaring jets were following a silent light in front," he says.